The WNC Fly Fishing Trail and Cherokee Fly Fishing Trails both rank among the best places to fly fish in the eastern United States. The Cherokee streams are the longest privately-owned and stocked fishing waters east of the Mississippi, with numerous world-class Trout Fishing Tournaments are hosted there each year. The Tuckaseegee River spans nearly the entire length of Jackson County from north to south. Controlled water releases by Duke Energy on the West Fork of the river transform a docile stream into a whitewater adventure for paddlers throughout the year. 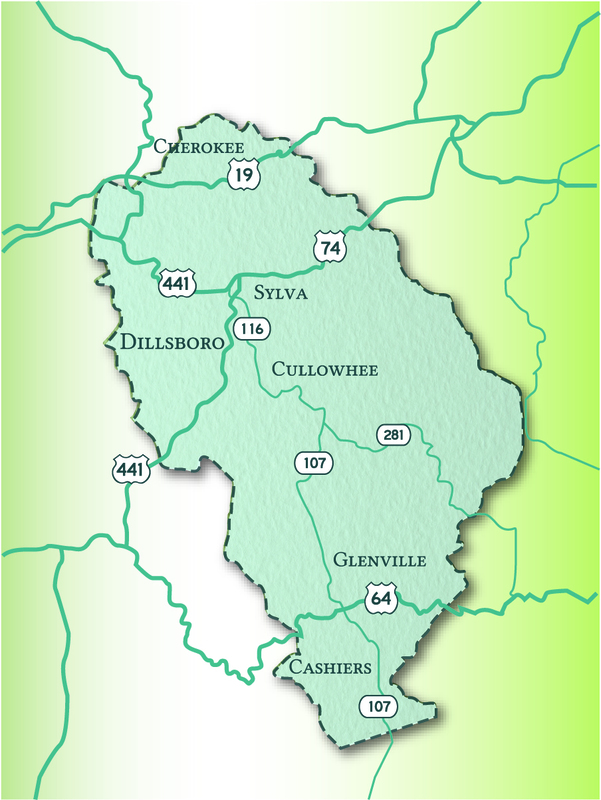 The river's center section is perfect for fishing, and relaxing tube or canoe rides, and the Dillsboro section is a rafting or paddling adventure for the entire family. The vast peaks, lush valleys and coves of The Blue Ridge provide an exhilarating hiking experience for the novice to the expert. And Jackson County's four recreational lakes, one of which is the highest in elevation east of the Mississippi River, provide a myriad of watersports and relaxation opportunities. Cultural history begins with the Native American culture of the Eastern Band of Cherokee Indians, where the Oconoluftee Historic Farmstead and Village, the Museum of the Cherokee Indian, and the "Unto these Hills" outdoor drama bring Native American history to life. The history of the region is also shared at curated exhibits at Western Carolina University's Mountain Heritage Center, which tracks settler and cultural heritage from the 1700’s to the present day. County history and genealogy is housed in the new Public Library building. Each of our towns is steeped in tradition and lore, and welcoming of those visiting for the first time, or those who call Jackson County home. Whether it's an exciting NCAA Division I football or basketball game, or a festival celebrating arts and crafts, or food and mountain traditions, Jackson County and its communities provide for year round enjoyment of this one-of-a-kind place. There is truly something for everyone throughout every season.